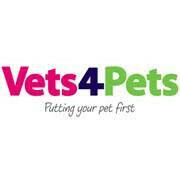 Barnsdales have acquired a Vets 4 Pets investment in Somercotes, Derbyshire. Acting for a private pension fund client Barnsdales have advised on the investment acquisition which was sourced off market. Jason Barnsdale who acted on the acquisition commented " this is one of a number of off market acquisitions we have completed this year which demonstrates our ability to source and acquire investments of this nature, both our client and the seller were delighted with the result. We don't always shout about the deals we do, but on this occasion we thought we should to help highlight the type of deals we are frequently involved in".